Soloazar is a digital newspaper specialized in the gaming industry. For 14 years, more than 12,000 subscribers receive the main news of the sector every day through the newsletter in its two versions: Latin America (in Spanish) and International (in English), where they also find all the coverage of the most important events ( SAGSE Buenos Aires, SAGSE Panama, Peru Gaming Show, Juegos Miami, G2E Las Vegas, ICE London, Feria Internacional del Juego in Madrid, Expojoc, Brazilian Gaming Congress in Sao Paulo, FADJA Colombia and CGS in Mexico). 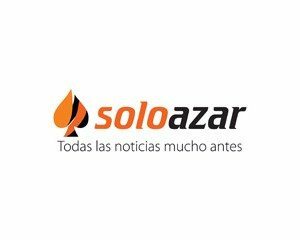 In addition, SoloAzar has presence in social networks: Facebook, Twitter, Instagram, LinkedIn, Pinterest, Yotube, Flipbord and Google+.